The Arts Desk described The Spring Quartet as “An expansive, freewheeling rampage, ideas flying out like sparks from a roaring fire....” Fontana is thrilled to bring this all-star lineup to Kalamazoo. Grammy Award winner, drummer, and composer JACK DEJOHNETTE knows the multifaceted worlds of jazz and jazz-rock as thoroughly as anyone alive. 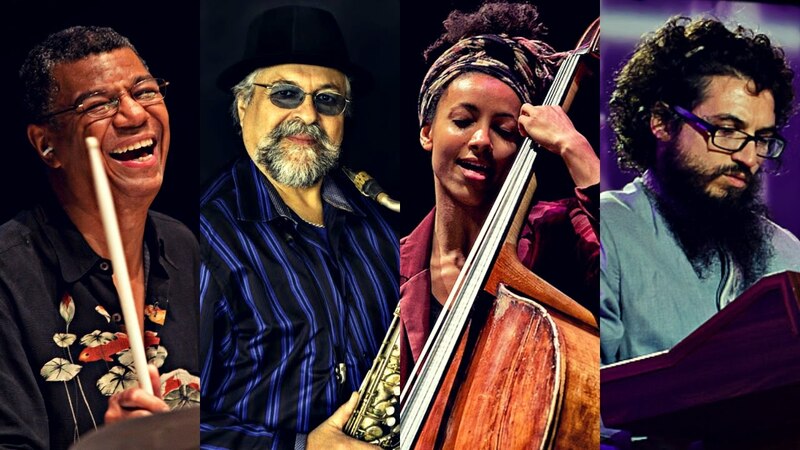 Hailed by The New York Times as “one of the greatest musicians in jazz history,” Grammy Award winning saxophone giant JOE LOVANO has distinguished himself as a prescient and path-finding force in the arena of creative music. ESPERANZA SPALDING has always resolutely, intuitively, deftly expanded upon both her art and herself as a world-renowned genre-bending composer, bassist and vocalist. Argentinian pianist LEONARDO GENOVESE has established a solid reputation as an instrumentalist and composer who is not afraid to explore the lesser known corners of the musical landscape. This performance is not one to miss. Get your tickets soon!